The Rocky Mountain Buckhorn Whistle is offered to you exclusively from Mendota Products, Inc. Because each whistle is handcrafted from shed or harvested buckhorn, you can expect that the whistle you receive is unique in design. 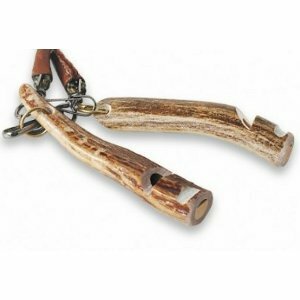 You’ll see variations in the color and shape of the Rocky Mountain Buckhorn Whistle, but you’ll see no variations in quality. Purchase a lanyard to support your whistle or attach it to your key chain or zipper pull. The Rocky Mountain Buckhorn Whistle is an incredible training whistle and a conversation piece as well!